French style bedding sets in a range of colors and styles. 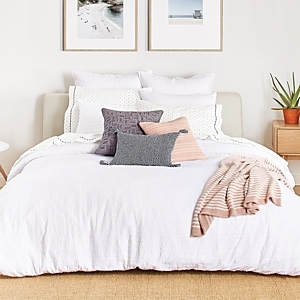 Perfect for guest rooms and dorms. Set includes: one reversible comforter, two pieced shams, and one dust skirt. Comforter and shams are trimmed with a looped ribbon. Introducing Valencia Collection: Jacobean in ivory and black on an ivory ground. Layered with a mini allover ogee design in black and gray with decorative accessories in greys and blacks to compliment it. Rose Tree is characterized by ardent attention to detail. Superior workmanship with an air of elegance and refinement. Harrogate collection by Rose Tree. Traditional and timeless design. Set includes: one comforter, two shams, and one dust skirt. Comforter and shams are trimmed with a twisted cord. Set includes: one comforter, two shams, and one dust skirt. Dust skirt has an 18" drop with split corners with a single pleat on each side in the woven mini diamond pattern. Comforter and shams are trimmed in twisted cord. Elegant and refined. Timeless elements and superior workmanship. Modern elegance coupled with updated classical styling defines the Izabelle collection. A colorful vintage printed floral with perched birds on a linen color ground reversing to a printed geometric in cream and gold. Comforter and Shams are trimmed with a textured solid linen decorative cord. The 18" drop tailored bedksirt, completes the set, and is a woven chevron pattern in teal and linen. Rolling ruched waves of soft, garment-washed cotton creates a soothing oasis for lounging and dreaming. Australian label Lazybones draws inspiration from vintage clothing to create their wonderfully whimsical home goods. Crafted with attention to fresh details, each piece is made to brighten your space. Case in point: this simple, feminine collection crafted from organic cotton jersey stitched and ruched into rosettes. Tucked and tufted ruffles of the softest cotton jersey take three days to complete, resulting in an irresistible texture that instantly adds romance and drama to a room. Each one-of-a-kind quilt is crafted from a lightweight voile and finished with delicate, hand-stitched kantha. To help preserve the quality of your unique work of art, we recommend washing on a gentle cycle with care. Each one-of-a-kind quilt is crafted from a lightweight voile and finished with delicate, hand-stitched kantha. To help preserve the quality of your unique work of art, we recommend washing on a gentle cycle with care. 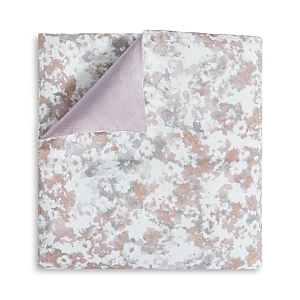 Light and bright, this handcrafted bedding invites a calming, feminine ambience to your space. 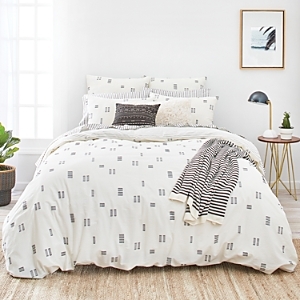 Designed with stripes of cotton jacquard, this geometric bedding lends a striking, textured touch to any bedroom. 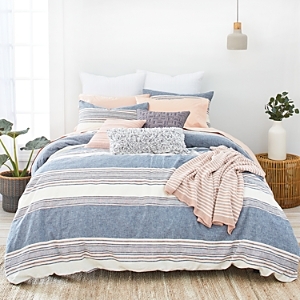 Simple yet timeless, this woven cotton bedding is finished with a subtly striped motif for a modern twist. Each one-of-a-kind quilt is crafted from a lightweight voile and finished with delicate, hand-stitched kantha. To help preserve the quality of your unique work of art, we recommend washing on a gentle cycle with care. Each one-of-a-kind quilt is crafted from a lightweight voile and finished with delicate, hand-stitched kantha. To help preserve the quality of your unique work of art, we recommend washing on a gentle cycle with care. Gauzy appliqués in a luxe floral motif lend this bedding a refreshingly airy feel Featuring a bold chevron pattern created by rows upon rows of floral stripes, this statement-making bedding brings new life to a timelessly feminine motif. Designed by the editors of Paule Marrot Paris in collaboration with Anthropologie, this bedding refreshes your space with its feminine motif and cheerfully bright hues. An abundance of teal and sapphire-hued blossoms flourish across this bedding, for a uniquely feminine - yet modern - motif. An eclectic mix of prints, petals, and perched birds makes this bedding a playful choice for your space. 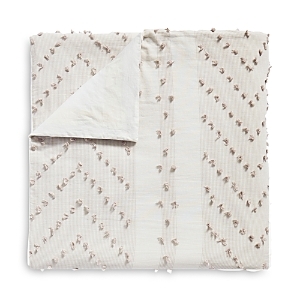 Soft, stonewashed cotton bedding finds a contemporary twist with textured diamonds and subtle zig-zag stitching. This luxuriously soft velvet bedding gets a contemporary twist with a subtle, burnout-style geometric print. An embroidered geometric motif adds both textural and visual interest to this vibrant tonal bedding. 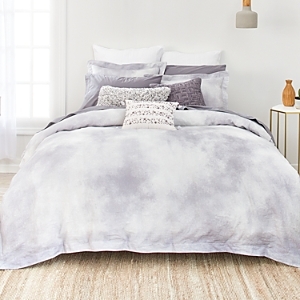 Shades of indigo accent this beautiful neutral bedding. Woven appliqués in a swirling, subtly floral motif give this bedding a refreshingly modern feel. An exquisite medallion print rendered in soothing pastel hues lends just a touch of bohemian charm to your bedroom. A traditional damask motif - formed from cotton slub appliqué - gives this collection a textural update. Crafted from luxe velvet, this super-soft bedding boasts vibrant florals for a colorful update to your space. This collection's oversized, appliquéd medallion becomes an understated focal point of your bedroom. Block-printed cotton; cotton fill A feminine motif in colorful hues brightens up your bedroom. All-over tufting adds textural interest to this charming bedding - a perfect fit for bohemian and contemporary decor alike. Our hothouse quilts are a labor of love - after all, each one takes 72 hours, 60 hands, 13 different processes and countless colors to create. Earth tones and painterly patterns give this bedding a relaxed, bohemian feel. Cotton; poly fill Asymmetrical panels of soft-hued paisley prints lend this bedding a boho-femme appeal. Tonal diamonds elevate this luxurious collection while textural tufting creates dimensional layers. Yarn-dyed linen and cotton voile front; stone-washed cotton back Our hothouse quilts are a labor of love - after all, each one takes 72 hours, 60 hands, 13 different processes and countless colors to create. Case in point: this vibrantly blooming collection. Screen-printed cotton; cotton fill Textural tufting - elevated by gold-foil detail - adds an air of luxury to your bedroom's dream-worthy allure. Making a fresh and classy bedroom is never an issue with this comforter set that is made just for you. The bedding features a large floral medallion design in off-white and grey tone background and perfected with twisted multi-tone corded edge accent to compliment the hues of your room Take your bedroom design to a whole new level with this poly yarn-dyed jacquard bedding. The bedding comforter features an eye-catching retro design with shapes in brown, tan, red, beige and apricot. Worry less on its durability as bedding and pillows are made from 100% polyester which makes it strong and wrinkle resistant. Refresh your bedroom decor with the Waverly Floral Flourish Reversible Quilt Collection. This Victorian inspired ensemble features bursting garden motifs with rich hues of blue, yellow, and light green on clean and crisp ivory ground. Bring your bedroom to life with the Waverly Garden Glory 4 Piece Comforter Collection. This beautiful ensemble features florals in shades of neutrals and greens on a soft blue, textured ground. Bring your bedroom to life with the Waverly Floral Engagement 4 Piece Bedding Collection This beautiful ensemble features an ornate traditional floral in fresh hues of blue and green on a crisp ivory ground and reverses to a coordinating stripe. Bring your bedroom to life with the Waverly Swept Away 4 Piece Bedding Collection. This elegant ensemble features an updated paisley aesthetic with modern flower bursts. Rich neutrals come to life with accents of berry and spa blue. Bring your bedroom to life with the Waverly Sanctuary Rose 4 Piece Bedding Collection This beautiful ensemble features blush florals on a striking blue ground. Reverse features a charming toile in cream and blue on a rich red ground. Bring your bedroom to life with the Waverly Fresco Flourish 4 Piece Bedding Collection. This beautiful ensemble features a classic floral bouquet with diluted texture and a worn, vintage aesthetic. Reverse features allover medallion with distressed look. Imperial Dress Porcelain is a classic Waverly pattern, inspired by classical Jacobean patterns and styled with a modern twist. The porcelain color story is exemplified here in bright blue and white with soft green and warm yellow accents. Rachael Ray Home, Introducing Mulberry; A modern horizontal textured stripe in tones of blues reversing to an allover texture in indigo and white. Coordinating with a solid white and an allover texture in indigo and white. Rachael Ray Home, introducing Gramercy collection: A modern, sophisticated, and transitional collection. A simplified damask in metallic pewter on a lavender ground reversing to an allover texture in grey. Rachael Ray Home, introducing Flat Iron: A modern and chic collection. A watercolor vertical stripe in charcoal, grey, burnt orange and pale blue on a cream ground reversing to a slubby texture in grey. Rachael Ray Home, introducing Dawson collection: A modern and casual collection. A stone texture in stone, saffron and teal on an ivory ground reversing to a faux slub in pewter. Coordinating with a textured woven in pewter and solid light grey. Quilted with impeccable patterning and attention to detail, this ensemble of coverlets by Splendid exudes timeless appeal. Crafted from smooth cotton, these reversible bedding staples feature a soft and natural look and feel. The modern Venice Collection features ombré colorblocking in crisp shades of violet. This gauzy stripe matelasse cotton boasts a lightweight handfeel. The reverse features the lightest shade of the allover stripe. Drapey and soft, this tencel and linen blend mimics the feel of classic Splendid garments. The Carmel collection adds timeless style with chambray stripes and an understated pop of color with coral edge-stitching. The Pacifica Collection features a serene palette of blues and crisp vertical stripes, crafted from yarn-dyed jacquard cotton with a pop of eyelash white fringe. The iconic chevron pattern is reimagined with subtle striping. The Monterey Collection is made with 100% yarn-dyed cotton and framed with loose, decorative tassels and puffs for a bohemian touch Drawing inspiration from Splendid apparel, the Marin bedding collection brings an effortless, stylish feel to your bedroom. Constructed in gauzy cotton percale, this set features soft hues and an abstract floral pattern that reverses to a solid pale lilac. Splendid transforms your bedroom space to a luxurious retreat with the Alpine Bedding Collection. Made from premium cotton, this jacquard woven design offers superb texture and detail. Prepare your bedroom for a refreshing makeover with the Crosshatch Bedding Collection by Splendid. Crafted from fine cotton, its soft patterns and jacquard weave makes an elevated decor statement with understated appeal. Rendered in rich colors, the Topanga Collection features a textured waffle knit that reverses to an understated, solid percale. 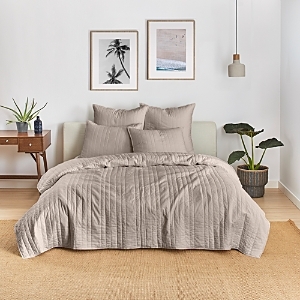 Raw edge detailing gives bedding a modern aesthetic. Allow Splendid to transform your retreat space with the exclusive Amalfi Marble Duvet Cover Collection. Set in a linen and cotton blend, the pre-washed digital print lends a contemporary touch to your bedding decor A modern blend of cotton and linen in vibrant hues sets the scene for a tranquil retreat space with this calming collection of bedding essentials by Splendid.